Mountains feature prominently in Chinese art and culture, particularly ink paintings depicting jagged peaks rising in the mist and clouds. 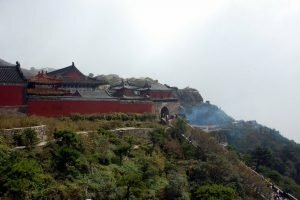 Unlike other countries which have a single famous range of mountains or one peak that hovers over a city, China has many peaks and ranges all over the country with different legends about their historical and mythical significance. The five 五岳 (wǔyuè) mountains are known for their beauty and are named based on their relative compass direction. The 三山 (three mountains) are famous for Taoist and Buddhist traditions. Regardless of why you want to climb a mountain or which set interests you most, there are plenty of peaks to explore in China. Arguably the most sacred and revered of all Chinese mountains since 3,000 BC, Tai Shan was the favorite peak of emperors and became a UNESCO heritage site in 1987. The first emperor of China, Qin Shi Huang, united China in 219 BC and held a ceremony on the mountain, which was commemorated by a well-known inscription. The character 泰 means stability so there is a saying that if Tai Mountain is stable, so is the country. Records hold that 72 emperors made pilgramages to this mountain in hopes of maintaining stability during their reign. 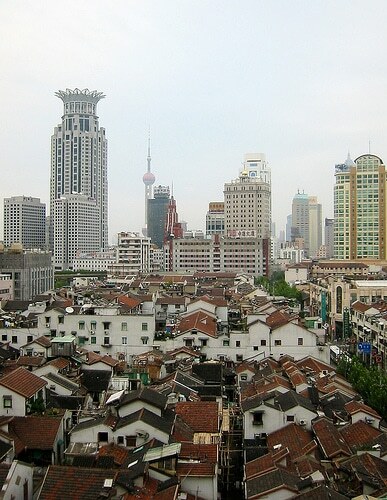 There is also a legend that claims people who climb Tai Shan will live to be 100 years old. 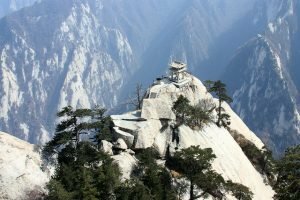 Huang Shan literally means Yellow Mountain and was renamed in 747 AD for the legendary 皇帝 huángdì, emperor, who was the ancestor of the Chinese people (汉 hàn) and who also made magic immortality pills on the mountain. 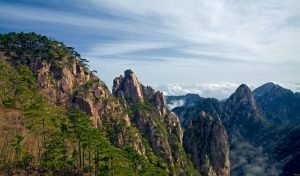 黄山 is actually a range of mountains with many famous granite peaks that often rise above the clouds, creating a picturesque view of the ragged pine tree-covered gray peaks, especially at sunrise and sunset. The mountain range was often the subject of paintings, literature, and photography, and is also a UNESCO heritage site. With a name like 华山 which means flowery mountain, one would expect delicate and pretty scenery. The name actually comes from the shape of the five peaks in the shape of a flower with five petals. The landscape is actually unforgiving to those who brave the cliffs and ravines of what’s known as one of the most dangerous mountains in the world. 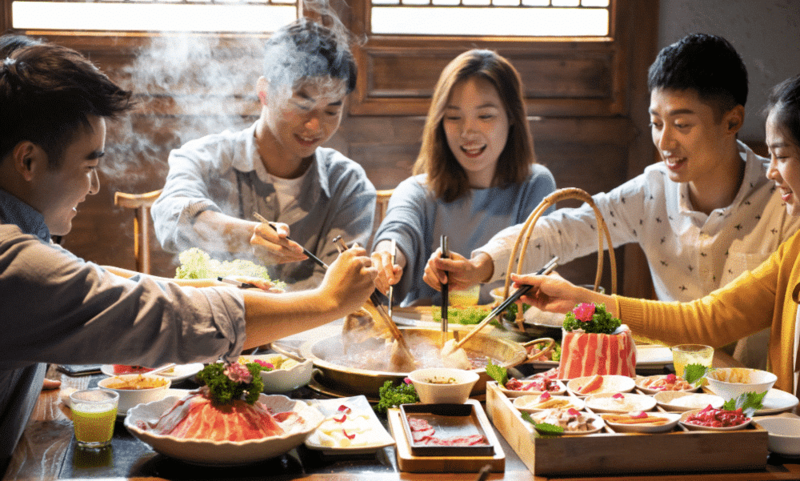 华山 is also still a popular destination for religious pilgrims and monks hiking to visit the many temples, pavilions and engraved scriptures on the mountain. 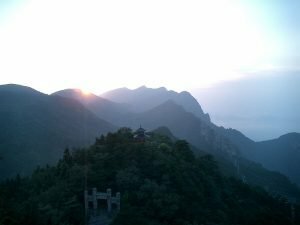 The central mountain in the 五岳 group, 嵩山 means the Lofty Mountain, it features both Taoist and Buddhist temples, most notably the Shaolin monastery 少林寺 (Shàolín sì), the most popular zen Buddhist temple in China, popularly thought to be the birthplace of zen Buddhism. It is also known for the martial art forms practiced at the monastery, popularized worldwide in modern movies with Jet Li and Jackie Chan. 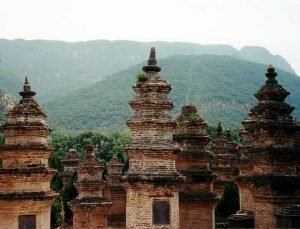 The Shaolin monastery is situated in a large and beautiful pagoda forest, itself a feature of the mountain which became a UNESCO heritage site in 2010. The steep peaks of 庐山, like other Chinese mountains, often sit above a sea of clouds, creating its grand and beautiful scenery, which was officially protected in 1996 as a UNESCO heritage site. The cool mountains were used as a summer resort for the leader of the Republic, Chiang Kai-shek, in the early 1900s, as well as for western missionaries in China. It was a favorite summer meeting spot of his, specifically with Zhou Enlai to prepare for mobilization against the Japanese in 1937 and, after the war, with USA’s diplomatic mission in 1946, led by George C. Marshall.